Founded in 1969 by Ken Turner and his two sons, Creative Technology (CTI) has been an innovative provider in the field of printing and computer technology. From its beginnings as a real estate book publisher, Creative Technology has continuously provided its customers with fast, high quality services. 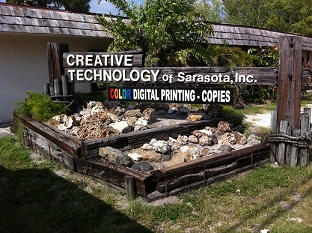 CTI Printing, a division of Creative Technology, provides a wide varity of digital printing services. Since 1988, Creative Technology has been offering its state-of-the-art CTI Navigator MLS system to Associations of Realtors. At Creative Technology, we are proud of our reputation for having an exceptionally responsive customer service and support, and the high quality service we provide for customers.